Our professional and qualified personnel have a solid reputation of high quality standards. The key objective of any HV network is to maintain a continuous supply to the end users. However, when things go wrong, the network must deal with the fault safely and within the designated time. A well designed and commissioned installation will ensure the fault will be safely isolated and the disturbance to the rest of the network minimised. 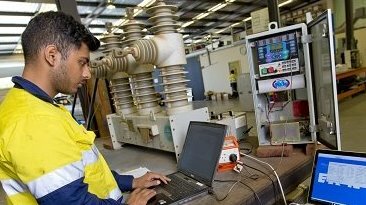 Global Testing Services provides electrical testing, commissioning and preventative maintenance of new and existing plants in a cost effective manner. As a major asset in any distribution network, a power transformer needs to be well maintained to ensure the maximum life expectancy of the unit. 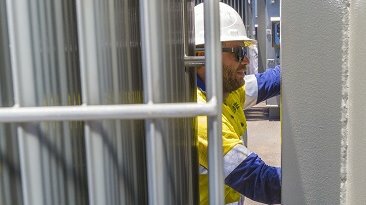 Our Bunbury facility has the capability to strip and repair transformers, service tap changers and regenerate oil. The GTS Bunbury team has many years' experience in the Power Transformer industry and leads the way in new technologies, to maintain your asset in peak condition. At Global Testing Services we work closely with clients, to support them through the entire life cycle of their assets – from initial testing and commissioning to ongoing performance testing and maintenance of plant and equipment. We build strong working relationships with clients, enabling our service personnel to really understand the specific needs of each client, and predict any issues before they arise. Our technical teams are fully equipped with the latest equipment, to ensure that any tests performed by us are as accurate as possible. Our people are among the best in the industry, and client needs are always the most important aspect to each and every one of us. Contact Global Testing Services today to find out how we can help you with your next project. Our experience and technical abilties are your guarantee of satisfaction when you deal with our dedicated team. The annual Australasian Oil & Gas Exhibition & Conference (AOG) is the platform event for the Australian oil and gas industry featuring over 250 exhibitors. GTS are pleased to announce the completion of phase 1 of our GTS Report Portal. Phase 1 allows our clients to log into the portal to retrieve their calibration reports. The guys did a great job. I am very happy with the way GTS conducted themselves here. Hendrik appears to run the ship and the guys (and girl) really know what they are doing. I am always very hesitant going away from the people I know and have used before, but in your case it was all good. Thanks for your help on the BUH job. Our executives were impressed with the photos showing how quickly you had managed to get the new transformer to BUH.